My ultra rare stepside. 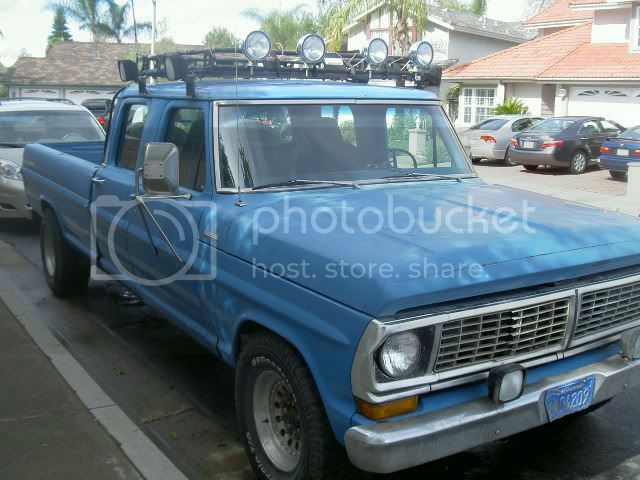 Look in the gallery under 1969 F250 4x4 for more pictures. Search through the galleries, there are about 6-8 decent crewcabs. 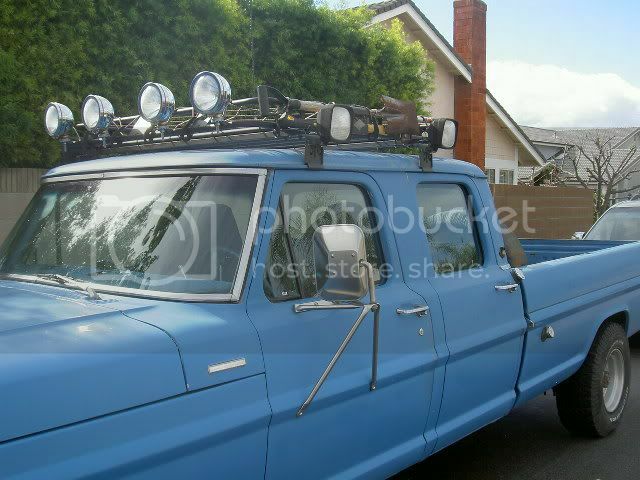 I did not see this post until it was pretty old, but do you still have your 69 Crew Cab? If you are interested in selling it still, I would like to talk to you about it. If you are interested in selling it yet, email me at [email protected] and I will definately get back to you. I like the roof rack man. 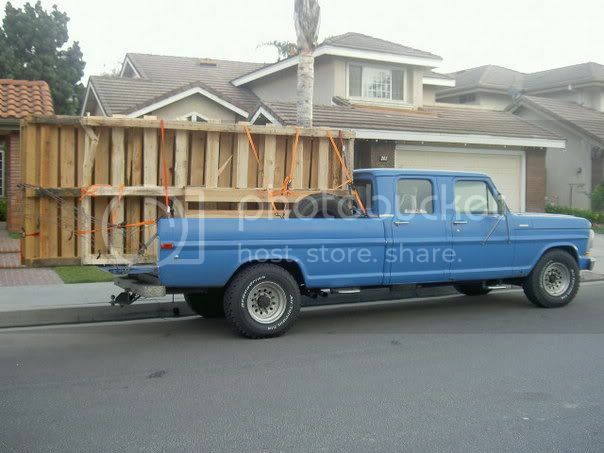 I plan on making one that extends from the rear of my camper shell to the front of my cab with many of road lights. I was thinking about the flex earlier today and how having it attached to cab wouldn't work. I think i will have the section over the cab hovering and reinforced the handle the weight. I will have pics, guaranteed.